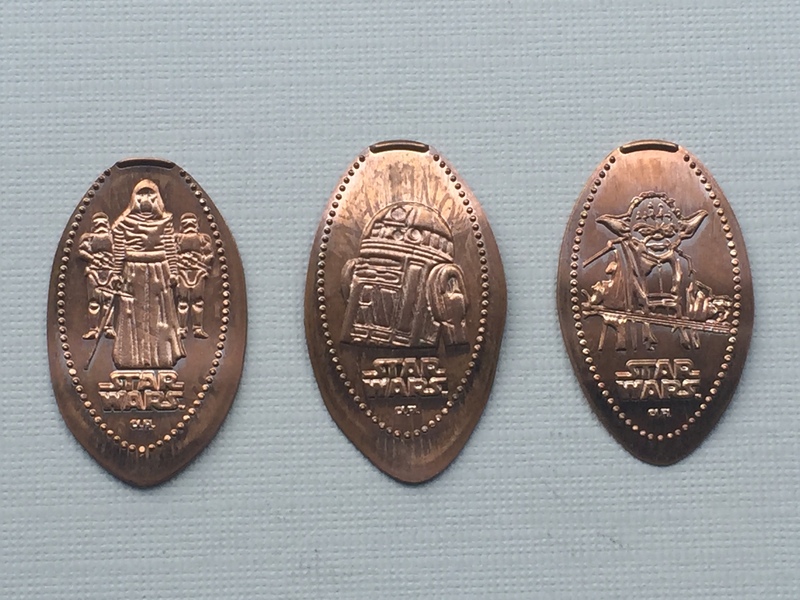 A few years ago there was a special penny machine put on stage only during the Star Wars Weekends. This had Jedi Mickey, Princess Leia Minnie and Darth Goofy. I had hoped that maybe these designs would change year after year but they did not and the same designs would be available each year. But obviously were only available for a limited time so they were pretty popular and the machine did get some heavy usage. With all the recent changes going on at Hollywood Studios and the future home of Star Wars Land, this machine was made available permanently over on Sunset Boulevard at the Legends of Hollywood Store. But again with the exact same designs. However, that has recently changed and new designs are now available. The machine is still in the same location but the new images include Kylo Ren with a couple of Storm Troopers, R2-D2 and Yoda. I would anticipate these designs being available for a while, but as a Star Wars fan I’m hoping that with the new Star Wars Land a slew of new machines and designs will be there to collect. I’m drooling over the possibility of using a machine inside the Tatooine Cantina, or fingers crossed maybe one on the Millennium Falcon. Oh wow I could go on and on, hint hint Disney don’t let us down.